Go riding through Eastern Washington’s open road for a cause. Presented by Tune Tech. 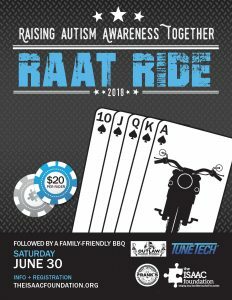 Participate in the first Raising Autism Awareness Together, a poker ride followed by a family-friendly BBQ, this June. Proceeds from this event will be donated to The ISAAC Foundation. 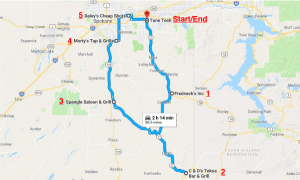 Visit six Eastern Washington businesses, collecting poker cards at each. When you return to Tune Tech-Pines, the players with the best and worst hand win prizes. We will have raffle drawings throughout the day. 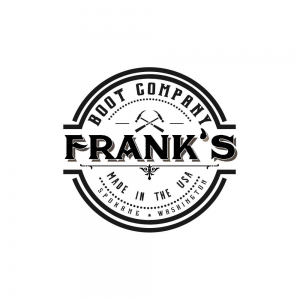 Each participant will receive a Poker Run T-shirt, bandana, poker cards, and a goodie bag. Following the play of the last poker hand play at Tune Tech-Pines head on over to Valley Mission Park and enjoy family-friend bbq plus live music from Elijah Frese. There will be a raffle for our larger sponsored items.